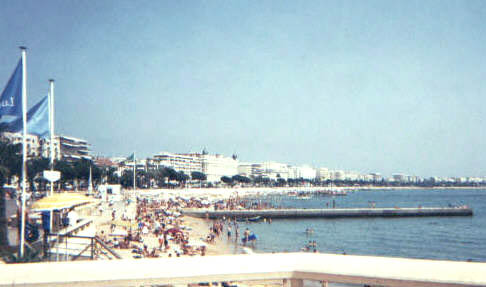 Cannes skyline with the main street Le Croissant and its beach in the front. The castle like white building in the middle is the Carlton Hotel, Cannes best de luxe hotel. 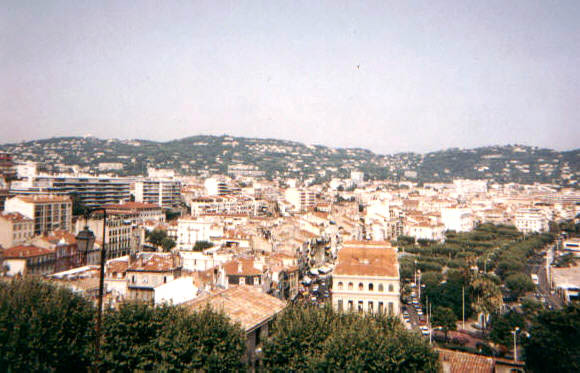 View over Cannes city center from the old town. The old town is located on the hills and has very narrow pitoresque streets and features Cannes´s oldest houses. The annual film festival is held at the conference palace at Le Croissant. A lot of tourist come to Cannes then. 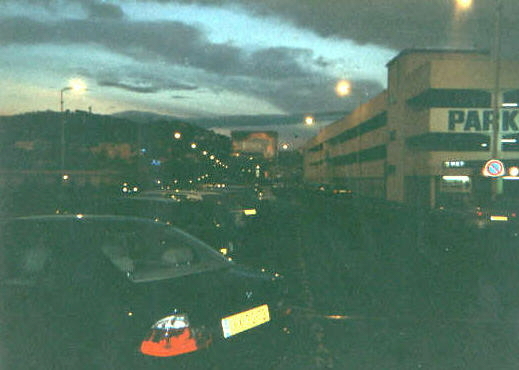 Cannes at sunset from a parking garage. 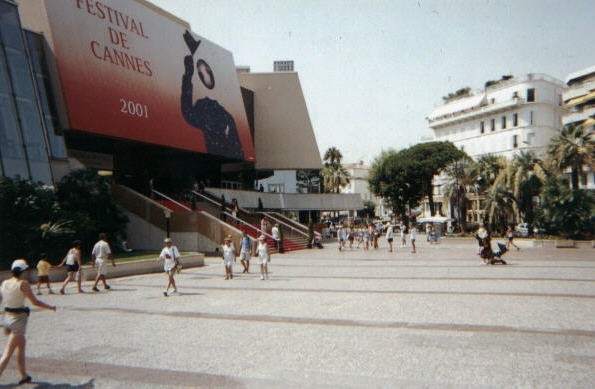 Cannes have a little bit more exclusive over-all feeling than Nice, but it is much smaller. But despite a population of just 66 000, it feels like a big city with at least 300 000 inhabitants! That is because the traffic is heavy and the buildings are large. Cannes even has its own answer to Nice´s beach promenade Promenade des Anglais. It is called Le Croissant. But the most famous thing about Cannes is the annual film festival that attracts world famous movie stars and international movies. Cannes borders to Le Cannet, a smaller, almost unknown sister city (with 44 000 inhabitants). Together these twin cities works as one. The film internationality and the sister city explains the "big city feeling".